Looking for new Iron of a good brand.? Here is a deal for you, Amazon is selling Orient Fabri Joy 1000-Watt Dry Iron (White and Blue) for Rs 399 only. Orient is one of the reputed company, well known for it’s good quality products. So, grab this awesome deal now, before it goes out of stock. 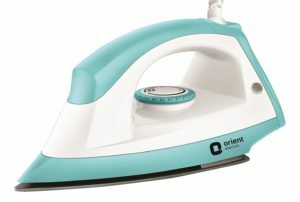 How to Buy Orient Fabri Joy 1000-Watt Dry Iron (White and Blue).? 1 . Click Here and Select Product.